This is how I know I’m working. 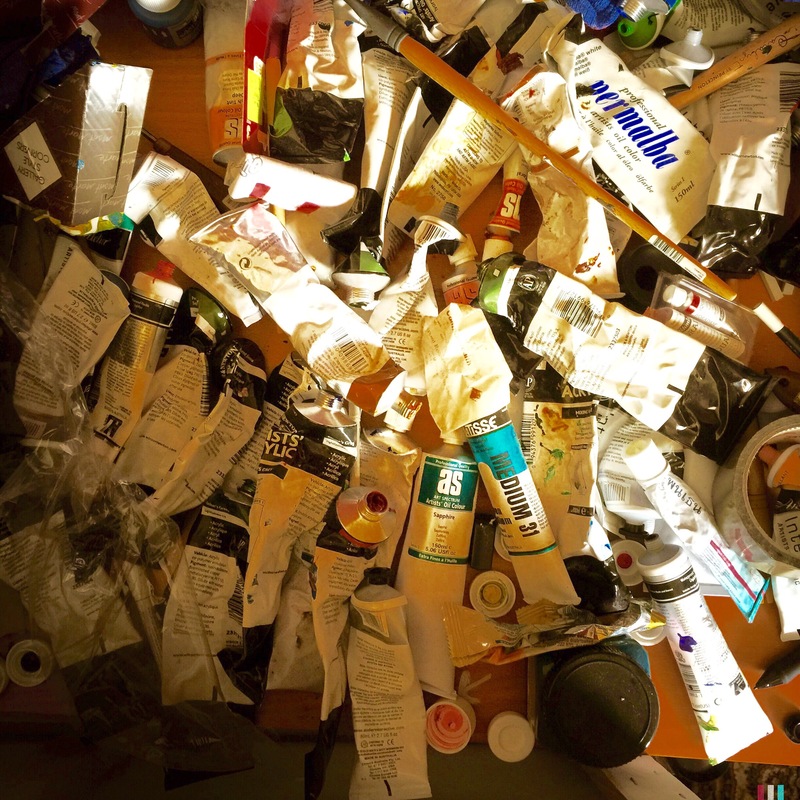 There is a mess of paint tubes. For some reason, chaos here correlates with a good creative output. This table is even bigger than this photo so imagine a mess 5 times as big. Does it make you want to paint? Good.